Every person has a story to tell. You don’t need to be a Nobel Prize winner or world famous actor to have a life story that informs and inspires future generations of your family. And, you don’t need to be a Shakespeare or a Hemingway to put meaningful words together about your life. 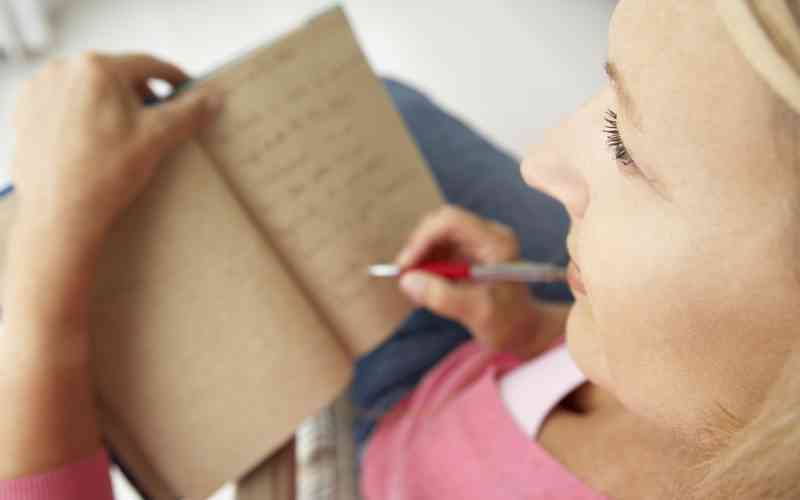 Here are some tips and tricks for journaling your life story. Once you’ve decided to write, establishing a regular writing schedule will be helpful in providing you the discipline you’ll need in order to put all of your thoughts down on paper. Whether you write in the early morning when you are fresh or late at night when you are relaxed, establishing a schedule will help you be more invested in your writing. It’s also important to choose a method that works best for you, whether it’s writing in a paper journal or using a tablet or computer. Sometimes just getting started is the hardest step. Writing prompts can be a useful tool for getting the words flowing. Writing prompts can be a simple statement about a specific topic, or a question about a topic that you can mull over and answer. The purpose of this writing tool is to inspire a response and get the creative juices flowing. Responding to a question such as, “What was the most difficult lesson you learned in your life” may be just what you need to get started on writing your story. Instead of structuring your story strictly as a sequence of events or retelling of facts, try writing about how you felt during certain times in your life. Focusing on events that brought you sheer joy, times of heartbreak or loss or even confusion will give your readers a glimpse into your soul and will offer a story that is compelling to read. As you gain momentum with your journaling, don’t constrain your writing by giving yourself rules to follow. Don’t worry about sequence, structure, or even grammar or punctuation. You can always go back and re-order your chapters or edit your words. The biggest challenge is to simply capture your story. Let your inspiration drive the writing, and iron out the details after. An authentic and unvarnished story of your life can be cathartic to write and also inspirational to your readers. A story that shares not only the happiest moments, but also the difficult times or personal issues that you grappled with, will be a cherished story for future generations. Your story can include photographs or drawings or other small mementos. Do you have a ticket stub from a favorite concert that you’ve held onto for decades? Add it to your journal and tell people about that unforgettable performance. Still have a map from a special trip? Include it in your journal and tell readers how that trip inspired you or changed your life. The hardest part of journaling your story often summoning the courage to simply pick up the pen and start writing. Remember that you are leaving a valuable piece of yourself behind for future generations. It is generous gift that will withstand the test of time. Surrounding yourself with supportive people who will listen to your story and offer feedback can also be invaluable. A benefit of community living at Kyffin Grove is that there so many neighbors on hand to offer encouragement and share ideas. Social engagement and exploration of interests are two important benefits of an active senior living community. Contact Kyffin Grove to learn more or to schedule a tour.